UWA staff profiles allow you to showcase your activities by sharing information about your research and achievements with other potential collaborators, students, industry partners and also the wider community. In response to your feedback regarding multiple online profiles at UWA, some public profile systems are going to be switched off to ensure you only need to update one profile in one location. So, after 20 June, your public UWA profile can be found in the UWA Profiles and Research Repository. We've picked out the 5 Things you need to do to ensure your profile represents you, your Faculty and the University in the best light. NOTE: When updating fields in your profile, the Create or Update button will apply your changes, but you will still need to press the button to retain any changes (this is always located at the bottom of the record window). Your profile photo is the first thing visitors to your profile will see so it’s important to give a good first impression by uploading a professional headshot. A photo is much more interesting than the standard grey silhouette! Log in to UWA Profiles and Research Repository with Pheme credentials (i.e. your UWA staff ID number and UWA password). Drag a file into the window that appears, or browse to one. Remember to click Create and then Save. Once you’ve uploaded your photo why not add some profile information to tell visitors about yourself and your role(s)? 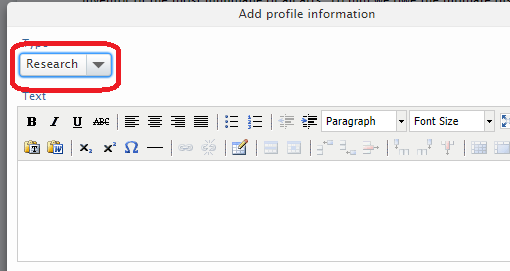 Simply scroll down the page and you’ll see an option to Add profile information. If you previously had text-based profile information on your staff profile in the Contact Directory, this will have been transferred to the UWA Profiles and Research Repository. Any of this content can be edited or updated. These editable fields allow you to showcase your research and teaching activities. There’s a large selection of available fields to choose from. 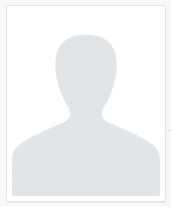 If you choose not to populate a field, it simply won’t show on your profile. You can view your public profile to see the changes you've just made. Jump ahead to Thing 4 if you’d like to start adding your prizes, press/media and engagement activities such as memberships, editorial work, talks and presentations, consultancy work, etc. Need more help with profile fields and photos? See our FAQs! Which profile fields are synchronised from another system and how do I change them? How do I update my Personal Overview area? This includes my biography, research, teaching and professional background, as well as my education and qualifications. The UWA Profiles and Research Repository will now take the place of the Research Expertise tab in the UWA Contact Directory. This is now where potential internal and external collaborators, students, the media and industry can search for staff with specific areas of expertise. There are three different ways to describe your expertise. It’s up to you whether you choose the most appropriate method or decide to use a combination of all three. You can enter your own keywords, select from provided industry keywords or you can sit back and let the system automatically generate relevant terms (or ‘Fingerprints’) based on some of the information in your profile. Scroll almost to the bottom of the page until you come to the Keywords section. Enter as many keywords as you need to demonstrate your various areas of expertise. These keywords will appear under the keywords section of your public-facing profile, and along with the Fingerprint terms will be searchable using the free-text search option on the UWA Profiles and Research Repository homepage. Log in to the UWA Profiles and Research Repository with Pheme credentials (i.e. your UWA staff ID number and UWA password). Under Industry keywords, click Add Industry keywords. Select keywords from the options on the list provided. Don't forget to Save at the bottom of the page. 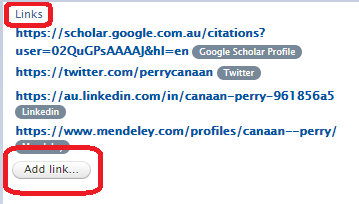 Check that these "fingerprinted" terms on the tab accurately reflect your research interests. You may omit terms or turn the Fingerprint off if it doesn’t work for you. Select Fingerprint from the menu on the left. Hover the cursor over the term you wish to remove and click on the red x when it appears. The omitted terms may be added again if you wish. To turn the Fingerprint off, follow steps 1-5 above and then use the Off / On button alongside the terms. By adding Industry and Research Expertise keywords to your profile yourself, you can ensure that your research interests are meaningfully described and discoverable. Under Profile information fields, click Add profile information. From the drop down option, select Research and describe your research using terms that you would like to appear in your Fingerprint. Need more help with Fingerprints and keywords? See our FAQs! What is a Fingerprint and how is it generated? This FAQ also includes how you can add terms to your Fingerprint, how to remove terms and how to turn off the Fingerprint feature. An ORCID iD provides you with a unique identifier which can be used throughout your scholarly career. An ORCID iD distinguishes you from other researchers ensuring reliable attribution of your work and an accurate measurement of your research impact. 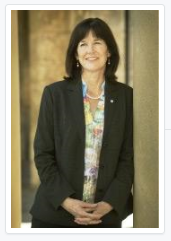 The UWA Code of Conduct for the Responsible Practice of Research requires you to include your ORCID iD in your publications and to link it to your UWA profile. While you’re there, why not link some personal web pages and/or your favourite social media profiles like Facebook and Twitter? You can add a number of content types to your public profile using the left hand menu within the back-end of your profile, viewable once logged in. If you’ve added publications in the past, you’ll notice this is a similar process. Select the + symbol alongside the menu item type you wish to add. Need more help with activities, prizes and press/media? See our FAQs! How do I add activities, prizes and press/media? How do I add teaching units? Publication details within your Contact Directory profile are not transferred automatically to your profile in the UWA Profiles and Research Repository. It’s best to always enter publications directly into the UWA Profiles and Research Repository, as this way they will feed across to Socrates and you’ll receive SI points where appropriate. Check if your publications are already in the UWA Profiles and Research Repository. If your publications are not already in the UWA Profiles and Research Repository please log in and follow the instructions to add publication details.